From “Sabang ‘till Merauke” is the name of a song dedicated to Indonesia’s many islands and its diversity. Its numerous chain of islands contained in the thirty-two thousand miles dividing two oceans, the Pacific Ocean and the Indian Ocean. Despite this diversity, Indonesia today has a common bond that united them all into one nation, one language, and one people. However, the people of Indonesia have been able to overcome their differences. Due to poor land infrastructure, aviation is vital to Indonesia’s economic growth and they are the largest aviation market in the ASEAN group of nations. 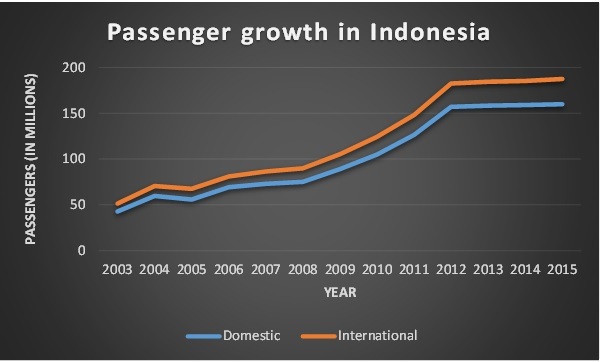 Passengers carried in Indonesia have risen from 48.8 mil in 2009, 58.3 mil in 2010, 68.3 mil in 2011 and 77.2 mil in 2012. Indonesia replaced India as the third largest domestic market in 2012 with 233 public airports in total – 29 international and 20 domestic. Government owns 164 airports, with 28 new airports to be built with 10 relocation and upgrades of many existing airports. Every month, Part 121 operators take delivery of 5 new aircraft Garuda Indonesia = 2 and Lion Air = 2. Airlines, despite adding capacity monthly, are achieving loading of around 80%. As the expansion plan is working in Soekarno- Hatta International Airport to increase capacity, there is a possibility of an alternative airport in Jakarta just for the ASEAN flights. Following the end of Batavia Air on 2013, Indonesia’s domestic market is served by 11 airlines. 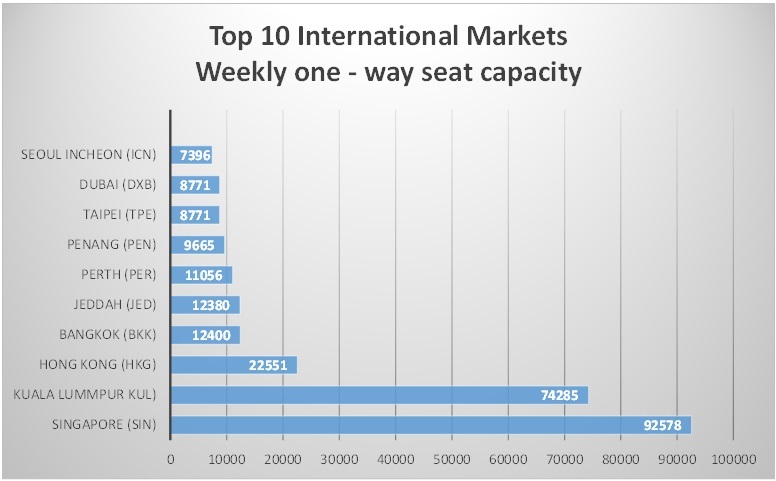 Though capacity is fairly concentrated among all these airlines but three largest airlines account for around 65% of weekly frequencies and 70% of seats. Lion Air, which has grown aggressively in recent years (domestic capacity +38% in April 2014 vs. April 2013), and has over 300 Boeing narrow-bodies on order, commands 45% of Indonesia’s weekly domestic seats. Among the top 10 international destinations 7 of them are within ASEAN. 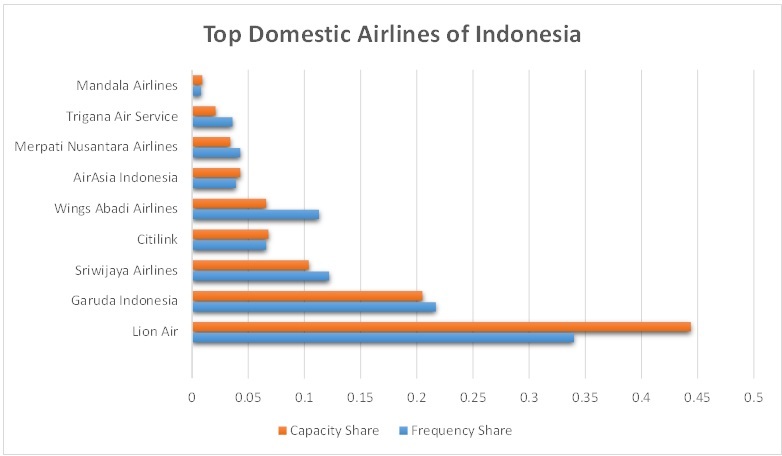 Singapore leads the ranks while a total of 463 weekly flights are offered on the route by 16 airlines from just as many Indonesian airports, 54% of capacity is allocated to Jakarta.